Falun Dafa Association of Washington, D.C. The John F. Kennedy Center for the Performing Arts (commonly referred to as the Kennedy Center) is a performing arts center located on the Potomac River, adjacent to the Watergate complex in Washington, D.C. The Center, which opened on September 8, 1971, produces and presents theater, dance, ballet, orchestral, chamber, jazz, popular, and folk music, in addition to multi-media performances for all ages. 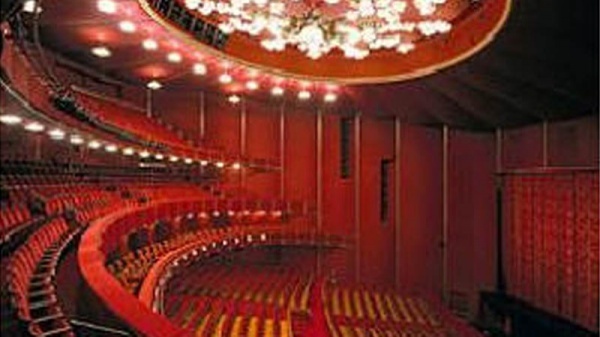 The Kennedy Center Opera House has about 2,300 seats. Its interior features include much red velvet, as well as a distinctive red and gold silk curtain, which was a gift from Japan. The Opera House also features a Lobmeyr crystal chandelier, which was a gift from Austria.It is the major opera, ballet, and large-scale musical venue of the Center, and was closed for the 2003–2004 season for extensive renovations which provided a revised seating arrangement at the orchestra level plus re-designed entrances to this level. The Kennedy Center is located on the banks of the Potomac River at 2700 F St., NW, Washington, D.C. 20566, at the intersection of New Hampshire Avenue, NW, and the Rock Creek Parkway. It is accessible by Metro (via the subway and bus lines), by taxi, and by car. If you are driving, refer to the directions below to find the most efficient route for getting to and exiting the Center. And, always remember to allow extra time when driving as Washington traffic can be unpredictable. 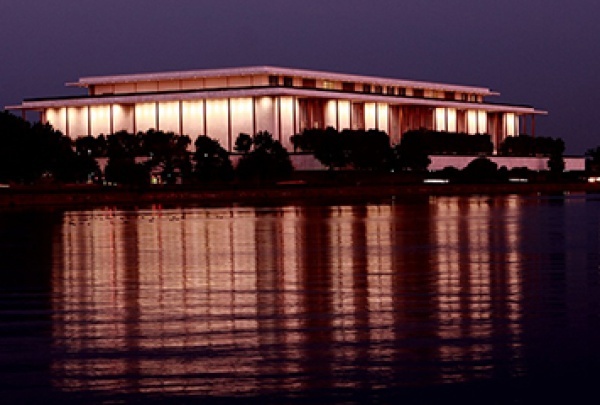 The Kennedy Center offers many pre-performance activities to help you make the most of your visit. The Kennedy Center has completed its parking garage expansion and site improvements project to better serve your needs. The garage's new features include a dedicated entrance from northbound Rock Creek Parkway to "C" Level north-end parking (open for most performances) and direct access to the Potomac Expressway and the Roosevelt Bridge from the southern exits and access to northbound and southbound lanes along Rock Creek Parkway from the northern exit. You can visit website of http://www.kennedy-center.org/pages/restaurants/ to get detail restaurant information. Please visit http://www.kennedy-center.org/ to get Kennedy Center Frequently Asked Questions.